The January edition is here. * This month we talk to the people behind Newcastle's greatest surfing carnival, SURFEST. 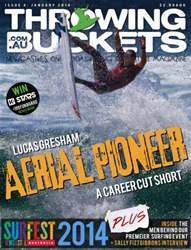 * We have an amazing story on Lucas Gresham, an elite surfer who had his career cut short. * We have a wrap of the Be The Influence Australian Boardriders Battle finale in Cronulla.